Eating a balanced diet is beneficial to your overall health. 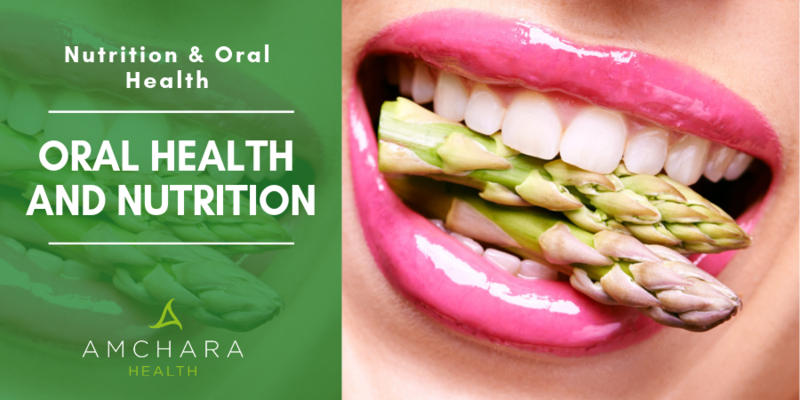 But do you know the role of food and nutrition in dental health? What Diet Is Best For Your Dental Health? The Role Of Diet And Oral Health F.A.Q. Food plays a significant role in your dental and overall health. A balanced diet helps supply the necessary minerals, vitamins and all other essential nutrients that your bones, teeth, and gums need to renew tissues, fight infection and prevent major dental issues like dental erosion, dental caries, and oral mucosal disease. It also helps in developmental diseases like fluorosis and enamel hypoplasia, and to some extent, periodontal diseases. When your food lacks certain nutrients, your mouth becomes less resistant to these infections and diseases. Healthy teeth are essential for optimal overall health. Without strong teeth, you can't chew and eat your food properly. Strong teeth also promote the consumption of nutritious foods. Can dental issues highlight the underlying overall health problems? Good oral health is more important than most people realise. Your oral health offers clues to your overall health. For instance, inflamed or bleeding gums may be a sign of pregnancy, whereas periodontitis may be a sign of type 2 diabetes. When your food lacks certain nutrients, it makes the tissues in your mouth less resistant to infection. Your teeth and the supporting jaw bone are primarily made up of calcium. When you don't consume enough calcium minerals, your body automatically starts taking the calcium it needs from your bones and teeth, affecting their strength and integrity. Calcium supports your bones and tooth structure and function. Milk, cheese, and yoghurt are some of the most abundant natural sources of calcium. 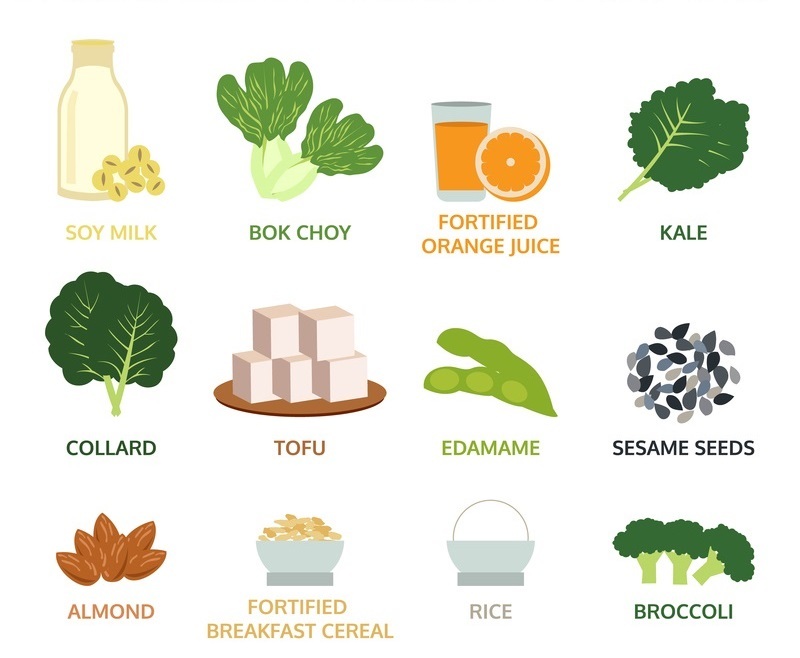 Non-dairy sources of calcium include kale, broccoli, almonds, legumes, oyster and Chinese cabbage. Calcium and phosphorus work hand in hand to enhance the health of your teeth. For calcium to be fully absorbed into the body and promote bone health, it needs to be paired with phosphorous. So, make sure to increase your consumption of phosphorus through foods like milk, yoghurt, red meat, cheese, beans, nuts, lentils, and whole grains. Foods like apple, carrot, and celery have a lot of water and promote the production of saliva, which dilutes the acids and removes debris from the teeth. Their abrasive texture allows them to scrub tooth surfaces to remove food particles and plaque gently. Vitamin D is another crucial nutrient that aids in the adequate absorption of calcium. Without this mineral, your body may suffer from calcium deficiency and in the mouth this can lead to gum disease, tooth decay, and underdeveloped teeth. Some of the richest sources of Vitamin D include milk, eggs, fish, breakfast cereals and cod liver oil. You can also get it by sitting in direct sunlight for 15 minutes each day. This vitamin is essential for keeping the connective tissues of your gums healthy. When insufficient, the tissues that hold your teeth securely in place weaken, making your teeth lose. Lack of vitamin c also causes bleeding gums and predisposes you to gum disease. Some of the most significant sources of vitamin C include oranges, sweet potatoes, broccoli, peppers, kale, and berries. Antioxidants like spinach, parsley, green tea, and grapes, remove damaging oxidising agents to promote healthy gums and teeth, and oral tissues. Probiotics contain beneficial bacteria that help to keep our mouth healthy. Some natural sources of probiotics include kefir, buttermilk, yoghurt, raw oats, unrefined barley, raw hickory root, and grainy wheat. Anthocyanins – This food element prevents the attachment of plaque on teeth. It also helps to fight oral cancer. Some great sources of anthocyanins include; berries, plums, cherries, grapes, and eggplants. Arginine – This mineral disrupts the formation of plaque and lessens the chances of cavities. Sources; soy, nuts, and meat. Polyphenols – Slow down the growth of bacteria which cause plaque, and prevent cavities, gum disease, and bad breath. Sources; Cocoa, tea, flaxseed, and berries. Cheese is a rich source of both calcium and protein. It also helps to reduce acidity. The protein is an essential building block for growth, whereas the calcium is vital for healthy, strong teeth. Both green and black teas inhibit the growth of harmful bacteria in the mouth. They also provide antioxidants which promote overall health. Vitamin C supports healthy gums and quick healing of wounds. Vitamin C deficiency can cause bleeding gums or loss of teeth. This root vegetable is rich in vitamin A, which helps protect the enamel on your teeth and wards off cavities. Milk is a rich source of calcium, protein, and vitamin D. Vitamin D helps the body to absorb calcium better. A vitamin D deficiency can lead to burning mouth syndrome, among other things. Chewing on sugar-free gum is crucial for stimulating saliva production and cleaning teeth (https://www.ada.org/en/member-center/oral-health-topics/chewing-gum ). While apples are sweet, they are also high in water and fibre. Chewing on apples boosts the production of saliva, which helps to rinse away food particles and harmful bacteria. Their coarse texture also encourages plaque removal. Carrots are crunchy and are packed with fibre which helps to increase saliva production, reducing your risk of getting cavities. Carrots are also rich in Vitamin A. To some extent, celery works like a toothbrush. It scrapes off bacteria and food particles from your teeth. It is also a great source of vitamin A and C which help boost your gums’ health. These nuts are loaded with calcium and protein. They are also low in sugar. The chewing that is needed to break them down for digestion also helps increase saliva production to keep your mouth fresh and clean. Kale, spinach and other leafy greens provide a healthy dose of nutrients for healthy teeth and gums. Spinach, for instance, is rich in both vitamins B2 and B12. A particular research study also shows that leafy greens lower the risk of oral cancer in female smokers. Apart from the well known effects of sugar on weight and diabetic tendencies, sugar is the leading cause of tooth decay. 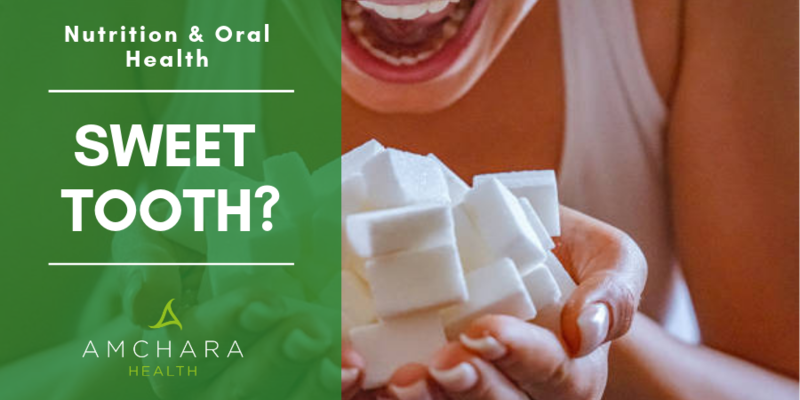 The number of times teeth are exposed to sugar intake is as important as the amount of sugar consumed in that bacteria on teeth digest sugars and produce acid as a by product. It is this acid that weakens tooth enamel, making it more susceptible to tooth decay. Once the strong enamel shell of a tooth is breached, decay spreads very much kits quickly in the dentine core of the tooth. Not all foods are good for the health of your teeth. If you must consume these foods, do it in moderation. Just because ice is made out of the water does not mean that it is good for teeth. Although oranges, lemons, grapefruits, and berries are tasty and a rich source of vitamin C, when taken in excessive amounts, their acid content can erode your tooth enamel, making them vulnerable to decay and hypersensitivity. The same applies when adding lime or lemon juice into your water. The acids can also irritate mouth sores. Most people assume that dried fruits are a healthy snack. While this may be true, these fruits- prunes, figs, apricots, and raisins - are also sticky. They get stuck in the crevices of your teeth, leaving behind large amounts of sugar, which can cause cavities. If you eat a lot of dried fruit, make sure to rinse your mouth with water afterwards, then brush and floss carefully and regularly. In its natural form, coffee can be a healthy beverage choice. However, most people cannot resist the urge to add sugar. Excessive consumption of coffee can stain your teeth, and dry out your mouth. If you drink coffee, make sure to drink plenty of water and keep the add-ons to a minimum. Although these drinks may sound healthy, they usually contain a lot of sugar. We all love the satisfying crunch of potato chips. Unfortunately, these foods are filled with starch, which gets trapped in your teeth, causing plaque buildup and cavities. Excessive alcohol consumption leaves you dehydrated, causing dry mouth. Saliva is crucial for healthy teeth as it prevents food from sticking to your teeth and washes away food particles. It also helps stop and repair early signs of tooth decay, gum disease, and other oral infections. Excessive alcohol consumption can cause tooth decay and other oral infections. Heavy alcohol consumption also increases your risk of mouth cancer. A research study by the National Institute of Health shows that the consumption of large quantities of carbonated beverages like soda could be damaging to your teeth. These sodas enable plaque to produce more acids, which attack the tooth enamel faster. Additionally, these drinks dry out your mouth, leaving you susceptible to tooth decay and a host of oral infections. Dark coloured sodas may also stain your teeth. It comes as no surprise that candy is bad for your teeth. But sour candy is even worse because it contains all sorts of acids that tend to be tougher on your teeth. Likewise, this candy tends to be chewy, meaning that they will stick to your teeth longer, increasing the risk of decay formation. Did you know that the health of your gut bacteria starts in your mouth? Your mouth and your gut are continually communicating with each other. A healthy balanced diet plays a significant role in maintaining a healthy mouth and promotes a healthy gut. Some essential foods that are good for both your dental health and gut bacteria include probiotic yoghurt, kales, mangoes, almond butter, and dark chocolate. A health diet will go a long way in helping your general health as well. Yes. When eaten in moderation, sweets can be part of a healthy diet. No. Eating and drinking sugary and acidic foods weaken the enamel of your teeth. When you brush your teeth straight afterwards, this can cause the tiny particles of enamel to break further and be cleaned away. This is why it is recommended that you brush your teeth around one hour after eating. It is advisable that you brush your teeth at night just before retiring to bed and one other time during the day. Night time brushing is recommended since saliva flow is slowest during this period, leaving your mouth dry and therefore more at risk of decay. Chewing gum helps increase saliva flow. Saliva works as a natural mouthwash that dissolves volatile sulfur molecules. It also neutralises acids produced by plaque bacteria to help prevent tooth decay. However, make sure you use only sugar-free gum since ordinary gum contains sugar which may damage your teeth. Is a vegan/ plant-based diet good for dental health? A balanced diet consists of five major food groups; Vegetables, fruits, grains, dairy, and protein. According to a study published in the American Journal of Clinical Nutrition, vegan diet removes protein and dairy, which plays a significant role in your dental health. As a result, most vegans run a higher risk of cavities, plaque, gum disease, and tooth decay. Other than the lack of vitamins and nutrients, their chances are heightened if poor substitution choices are made for these two food groups. 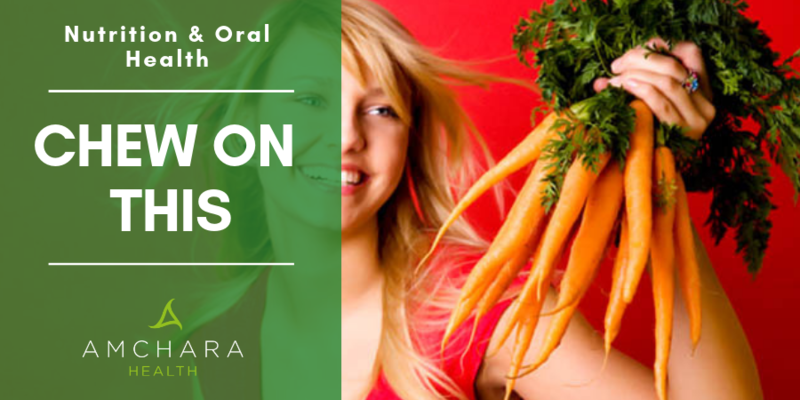 While it can be tough to maintain good oral health when on a vegan diet, it is possible. Just make sure to eat a well-balanced diet that contains all the nutrients and vitamins your body needs. Avoid sugary and acidic foods and keep up with a good oral hygiene routine. Also, make sure to honour your regular dental checkups. Is a paleo/low carb style diet good for dental health? Since most paleo or low-carb diets limit the consumption of both sugar and carbohydrates, it limits the creation of acids which erode your teeth enamel. This, in turn, leads to a much healthier mouth overall by preventing cavities, and tartar build-up. Eating a variety of healthy foods that are rich in nutrients promotes not only your oral health but also your overall health. Make sure to eat a balanced diet of fruits and vegetables, calcium-rich foods, protein foods, and whole grains, all which provide essential nutrients for optimum oral health and overall health. Dr. Joseph Xuereb BChD (Hons), MFGDP(UK), MGDS RCS(Eng), FFGDP RCS(UK), FICD is Principal at Savina Dental Clinics (Malta & Gozo) - he is a Dental and Implant Surgeon with a special interest in Full Mouth Rehabilitation. Can You Reverse Type 2 Diabetes With A Raw Food? Save Your Teeth: Give Up on Sugar!